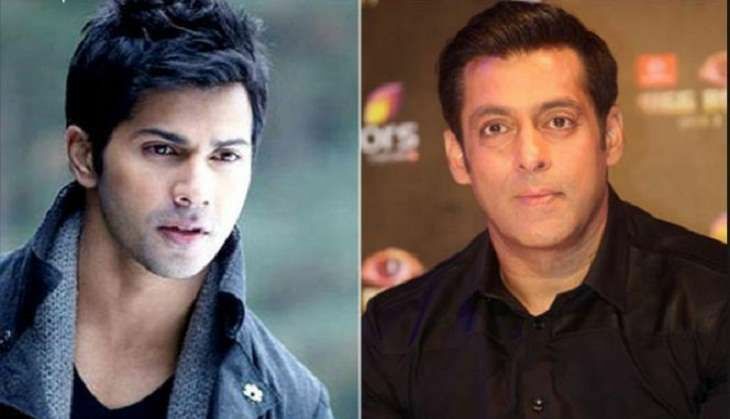 Home » Bollywood News » Salman Khan and Varun Dhawan bagged Judwaa at 29! Sajid Nadiadwala and David Dhawan's Judwaa 2 has recently gone on floor. The news of Judwaa 2 starting shoot in the same week when Judwaa had gone on floor 20 years back has created nostalgic of sorts amongst the makers. Needless to say, there's a connection of sorts between the prequel and sequel. Judwaa which was a tremendous hit and featured Salman's first double role film! The franchise also marks the return of the power duo of David Dhawan and Sajid Nadiadwala, the director and producer of Judwaa. One of the biggest curiosity factor attached to Judwaa 2 will be to see Varun Dhawan stepping into Salman's shoes. Judwaa is remembered as one of the most adorable comic roles of Salman. Nadiadwala Grandson Entertainment's Judwaa 2, Directed by David Dhawan and produced by Sajid Nadiadwala is all set to release on the 29th of September this year.